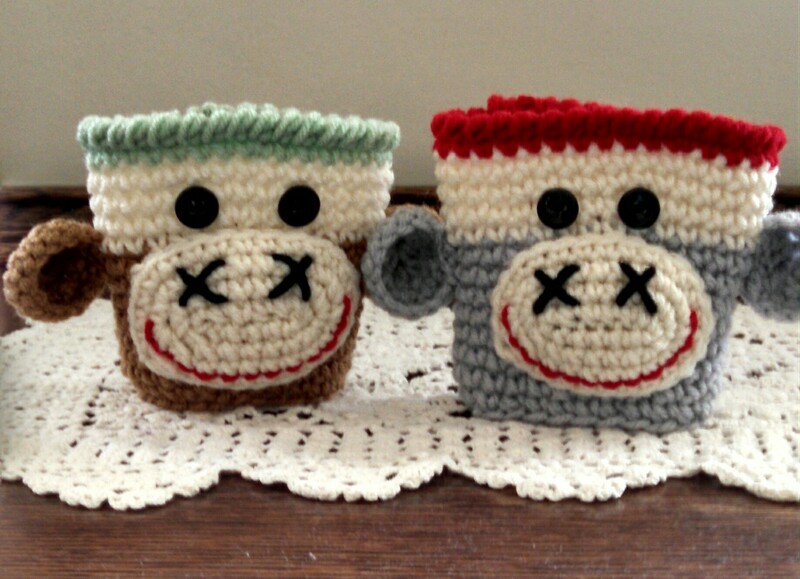 Monkey around with these cute coffee cozies. They fit all paper cup sizes and easily can be stored away in a purse, tote, car or brief case. Also a great conversation piece on a desk or table. These little guys would make a great gift for teachers or birthdays. Don’t forget Dad on Father’s Day! Support your Alma Mater. These little monkey’s can be ordered in collegiate colors.